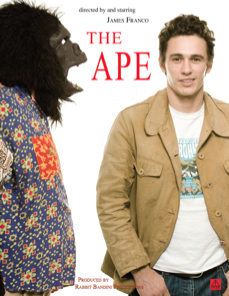 The ape harasses Harry constantly, sharing his opinions on life, love and animal magnetism. He inspires Harry to embrace his own most carnal and base impulses. This leads to trouble at the office where Harry embarks on an ill-advised affair with his high-strung boss and makes questionable decisions during a big presentation. Back at their apartment, Harry and the ape grow closer, but it’s not clear that their relationship is helping Harry’s writing. His short story is rejected by the New Yorker magazine, and Harry finds himself increasingly cut off from the world outside. It all leads to a startling confrontation that is both dark and disturbing.